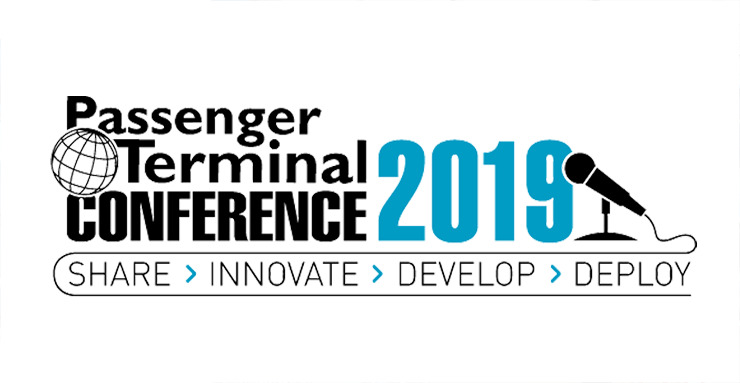 SageGlass exhibited at Passenger Terminal Expo in London for the first time this year. It was also my first interaction with the broader airport community. Honestly, I didn’t know what to think going in. With so many huge issues impacting the airport industry, from enormous demand growth (2X more global passengers by 2030…just eleven years away) to automation and digitization both aiding and disrupting security, would airport leaders have the bandwidth to think about passenger comfort and its role in shaping passenger experience? More practically, as the man working the booth for 3 days, would anyone bother to stop by? I can say the reaction to our solution was far more positive than I anticipated, and my experience it left me with three key takeaways from the event. Passenger comfort is a problem…and airport leaders know it. Often in a tradeshow you have to carefully probe to see if your solution is right for a given customer. That is not how this event went. At least a dozen airport leaders, upon hearing what smart glass can do, offered their own examples of glare and heat gain compromising passenger comfort in their airports. Many with upcoming renovations expressed interest; some with recently completed renovations expressed regret that they did not know about the solution sooner. Of all the trade shows I have worked, across industries and customer types, this one stood out as it had the greatest number of customers who proactively said to me, almost unaided “I think I need this solution”. Passenger experience is widely discussed, but ambiguous. Airport industry leaders are unanimous on the importance of passenger experience, but with so many factors influencing it they obviously have to limit their focus to take action. Often this is based on a detailed understanding of their own airport’s current areas for improvement. In general, efforts at improved experience center around one word: easier. How to make every element of the air travel experience easier for passengers. It acknowledges a basic point: air travel today is stressful, perhaps the polar opposite of easy. In between where we are today and a truly “easy” experience a lot must change, but the industry is unified on the need to do so. A hidden challenge to “one token” security. 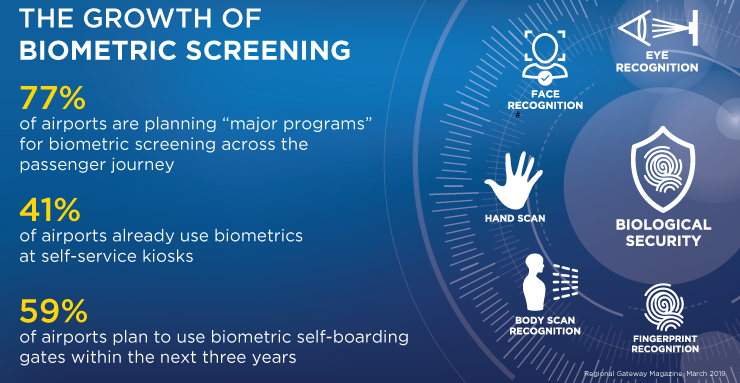 Biometric screening, specifically facial recognition, is gaining traction as the security approach of the future. It could be a “one token” security strategy, meaning it is the only credential anyone would ever need for anything related to air travel. This would likely improve the passenger experience. However, there is concern that daylight, and more specifically over-abundant daylight, could compromise facial recognition software’s effectiveness. In its March 2019 Aviation Newsletter, leading design and consulting firm Arup discussed this exact point, noting that even manufacturers of the machines caution against daylight as shadowing can limit effectiveness. This was echoed by an airport executive I spoke to who noted that early morning intense sunlight near one screening checkpoint was already making facial recognition a problem at his airport. If true, this poses a real challenge. Airports are increasingly using glass-centric designs, as daylight and views serve to decrease feelings of crowding, support our circadian rhythms and can even aid in wayfinding. Does biometric screening mean all the glass areas by security checkpoints are suddenly a problem? It is too early to tell, and sweeping generalizations are rarely accurate (and thus rarely constructive). It is possible that the ability of smart glass to modulate the amount of daylight entering a space could help alleviate this problem, though this is not a subject that has been researched to date. This is something we are interested in examining further. The magnitude of the change the airport and airline industry is facing is daunting, to put it mildly. Multiple paradigm shifts seem to be happening all at once. From my experience in other industries, I would expect a level of trepidation to be palpable; an understandable human reaction to so much change so fast. And yet, this was not what I observed. I observed an industry embracing, even excited by the impending changes, though they are not entirely sure what they will mean. While fear of change is human and rational, when change is inevitable fear is also futile. Better to face it, and then plan with uncertainty and ambiguity in mind. That appears to be exactly what the industry is doing. Jordan Doria is the Senior Marketing Manager for SageGlass. Jordan has a decade of experience in the building industry, working to promote buildings that are better for people and the environment. He holds a Bachelor’s and Master’s Degree in Political Science from Villanova University (USA).